Northern Illinois University Your Future. Our Focus. You can get valuable information about how to pay for college using financial aid and scholarships. This year, we’re investing over $5 million in additional scholarships. Apply free of charge during our application workshop. Receive your on-the-spot admissions decision. Meet transfer counselors who will answer all your questions. Tour our campus and residence halls. Get answers to your questions about academic programs, services and student organizations that interest you. More than half of our current students have credits from other organizations. We’ve got many guaranteed admissions agreements with many community colleges, so we provide transfer students like you the help you need to apply what you’ve already learned. We provide the programs and services you need to gain the experience and credentials to increase your future earnings potential. Only 65 miles from Chicago, our main campus in DeKalb is surrounded by smaller regional campuses in Hoffman Estates, Rockford and Naperville. And with plenty of online programs, studying at NIU is convenient for everyone. Watch our tips for Transfer Students. 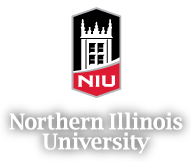 What are NIU’s admission requirements? Do I have to earn an Associate of Arts (A.A.) or Associate of Science (A.S.)? As a transfer student, you must have a minimum of 24 transferable semester hours (36 quarter hours) of credit, be in good academic standing from the last college or university you attended and have a cumulative GPA of 2.0 on a 4.0 scale from all colleges attended. Your A.A. or A.S. degree isn't required, but it does provide important benefits to you (if you're coming from an Illinois public community college). How will my courses transfer to NIU? We accept credit in transfer from any regionally accredited college or university if the courses to be transferred are part of a baccalaureate program. Our Articulation Tables list course equivalencies from most Illinois public community colleges. What is the maximum number of hours I can transfer? You may transfer up to 66 academic semester hours plus four semester hours of physical education activity courses. Credit hours in excess of 66 will be displayed on your transcript. In all cases, you'll be required to complete at least 54 semester hours from the following sources: NIU credit, credit from other four-year schools, proficiency credit and up to eight semester hours of physical education activity credit, of which up to four physical education activity credit hours may be earned at community colleges.